Bedtime can be a stressful time for everyone involved. 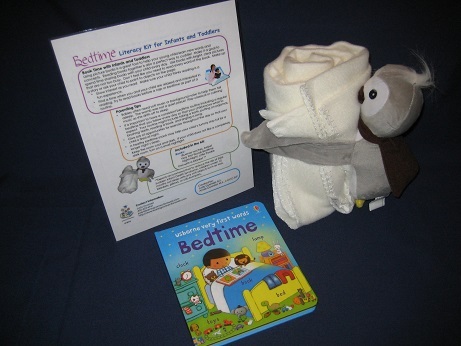 This parent pack gives reading tips and parenting tips on how to make bedtime peaceful. 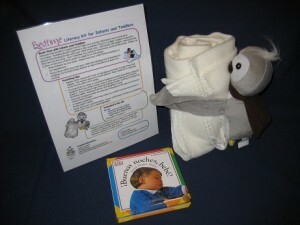 It also offers suggestions on how to use the stuffed owl and blanket that is included in the parent pack as well as other activities to help bedtime become enjoyable. 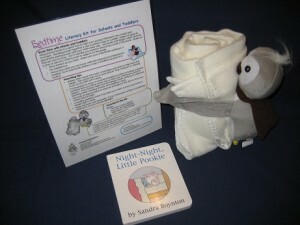 Included in the parent pack, along with the owl and blanket, is a two-sided guide and your choice of any one of the following three board books: Good Night, Baby – !Bueanas noches, bebe! (bilingual): $15.00; Night-Night, Little Pookie: $16.00; and Very First Words Bedtime: $16.00, all packaged in a clear, plastic, zippered pouch.